While Lahore needs more transit infrastructure, its construction and finances should be made transparent to the public. Does Lahore need high-capacity rail transit? Lahore and Toronto might be thousands of miles apart, but they enjoy similar traits and concerns. Both are home to over six million people and gridlocked with traffic exceeding far beyond the designed capacity of the road networks. Lahore and Toronto are also struggling with controversial plans for rail-based urban transit, known as subways in Toronto and Orange Line Metro in Lahore. In Toronto, concerned citizens and transit experts question whether a nearly $4 billion subway extension in Scarborough, a suburb of Toronto, is the best use of money. They argue that better service and accessibility can be provided by cheaper alternatives, such as Light Rail Transit (LRT) that runs on the surface on a dedicated right-of-way. 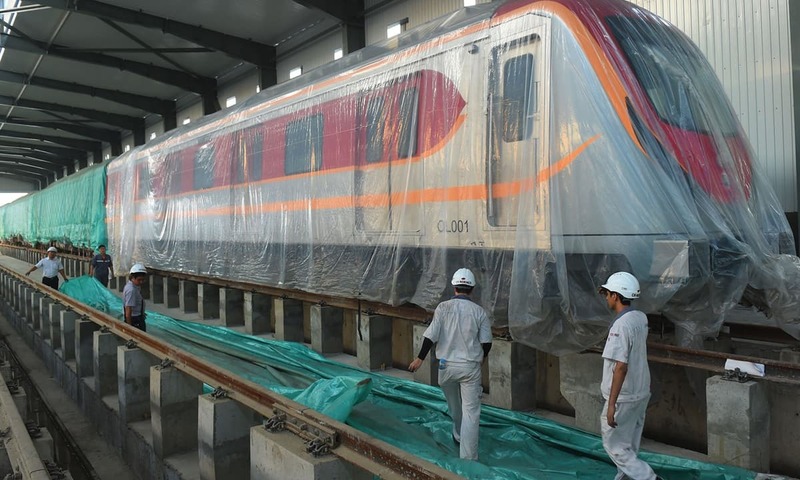 In Lahore, where urban transit is far less developed than in Toronto, similar concerns have been raised about the almost completed Orange Line Metro system, which is a 27.1km-long elevated rail transit with a 2km underground track and services 26 stations. 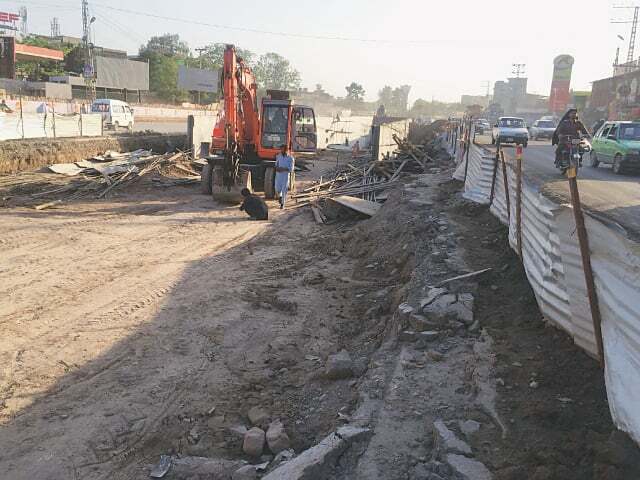 Media reports and litigation in superior courts have raised several concerns about mass transit in Lahore in general and the Orange Line in particular. Given that most discourse on such a technical matter has either been in the hands of untrained yet well-meaning individuals or partisan surrogates, one needs clarity on matters related to mobility and public transit. With general elections around the corner, where transport infrastructure development is now deemed a controversial subject, putting urban mobility in a proper context should help inform the electorate. I attempt to answer the concerns and questions raised about the Orange Line and public transit. I do so by highlighting important facts about transit planning, relying on my experience as a former professor of transportation engineering at McGill University. And it’s not just Lahore. Urban mass transit is of poor quality and insufficient in all major urban centres of Pakistan. Given the demographic footprint of large urban centres, the number of buses and other paratransit falls horribly short of the demand. How much transit does one need? I would argue that in the absence of a comprehensive rail-based urban transit operating on its own right-of-way, urban mobility needs require roughly one bus per 1,000 people. The World Bank’s Urban Bus Toolkit recommends anywhere between 0.5 to 1.2 buses per 1,000 people. For instance, consider Shenzhen in China, a city with 13 million people, where the entire fleet of 16,539 buses has been recently switched from fossil fuel to electricity resulting in 1.3 buses per 1,000 persons. With 11 million people residing in Lahore District, we would require roughly 11,000 full-sized buses at one bus per 1,000 people, or 5,500 buses for one bus per 2,000 people. However, these numbers are roughly four to eight times higher than the 1,574 buses mentioned in the eight-phase plan outlined by Punjab Mass Transit Authority. The population breakdown in the latest census can help determine the mass transit needs at the tehsil level. Consider that in Lahore Cantonment alone, where 1.6 million people reside, 1,600 buses are needed at one bus for every 1,000 residents. If one were to argue that the affluent parts of the city are more auto-dependent and one should use 0.5 buses per 1,000 people for Lahore Cantonment and Model Town, and one bus per 1,000 persons for Lahore City tehsil, Raiwind tehsil, and Shalimar tehsil, the number of buses needed is around 9,000. Hence, let there be no doubt. Pakistan’s urban transit is severely undersupplied. This is partly the reason that motorised transport has increased significantly over the years. Many in Pakistan argue that Lahore, unlike Karachi, does not have high-rises, hence it lacks the population density to support higher-order mass transit. This leads to three important questions: What is the population density in Lahore? What density thresholds are needed to support public transit? Does one need high-rises for high population density? A 2014 report estimated Lahore’s population density to be 5,583 persons per square kilometre. However, the population density is much higher in central (urban) Lahore. The one million residents in Data Ganj Bakhsh are living at densities of 31,000 persons/sq km, while a million residents of Samanabad live at 28,000 persons/sq km. The density in Cantonment is around 8,700 persons/sq km. Urban Lahore, excluding Wagah and Nishtar, reports population densities that are much higher than densities of cities with sophisticated public transit systems. As for the need for high-rises, one must look at central Paris, a city of 2.3 million within an area of 105 sq km, where the average population density is 21,500 persons/sq km. Paris achieved high population densities without having the need to build high-rise buildings. The city owes its urban form to the famous architect Georges-Eugène Haussmann, who ensured that buildings were no taller than five to seven stories. If Paris could serve as a prototype for density, Lahore can operate higher-order public transit without having the need to erect high-rise buildings as long as the city is able to maintain population densities of around 10,000 persons/sq km. When it comes to capacity, public transit systems follow a hierarchy. Buses operating in mixed traffic are at the bottom, and rail-based metros operating in their own right-of-way are at the top of this hierarchy. Buses operating in mixed traffic can carry anywhere between 1,500 persons per hour per direction to 3,000 persons per hour per direction. Articulated buses where two or more buses are linked and driven by the same driver can carry even more passengers. When buses operate in their own right-of-way, often referred to as the Bus Rapid Transit (BRT), they can achieve higher throughput capacity of over 5,000 passengers per hour in the peak direction. In Pakistan, where crowding in public transit is accepted, the throughput transit capacity could be even higher. A five-car metro train operating in its own right-of-way can carry as many as 1,200 passengers per train. Operating at a two-minute headway — the time between two successive trains — these trains can carry up to 36,000 passengers per hour in each direction. While the above are theoretical capacities, these numbers can fluctuate depending upon population and employment densities along the transit corridor, feeder routes to augment the high-capacity train and transit fare. Given the high demand for mobility along the primary commercial arterials, such as Ferozepur Road, high-capacity public transit is better. Unlike the downtowns in cities in Europe and North America that have high concentration of employment, South Asian cities instead have employment concentration along major arterials, which makes it difficult to serve these cities with high-capacity transit. Still, corridors like Ferozepur Road and Multan Road are strong candidates for higher-order public transit systems because the transit demand they generate cannot be efficiently served by the regular bus service. Even in New York and Chicago, cities much wealthier than Lahore, elevated rail tracks can be seen in several neighbourhoods. Though these tracks are a permanent source of visual encumbrance, they are much cheaper to build than the alternative that involves tunnelling. 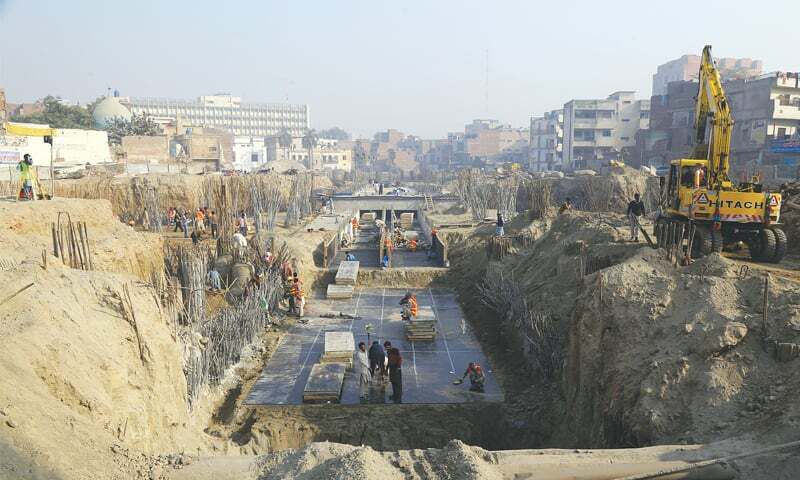 Since urban Lahore is already built-up at moderate to high densities, rights-of-way are not readily available to build and operate rapid transit. Tunnelling will prove too expensive given the consumers' lack of willingness-to-pay and the political leadership's lack of willingness-to-charge. Urban transit differs from intercity transit in many ways, including fare and revenue. Consider that when an intercity bus leaves the terminal in Rawalpindi for Lahore, the expected revenue per seat is generated by the same passenger. Why? Because we do not expect the same seat to be occupied by more than one passenger during the same trip. It is quite a different story with urban transit. One designs the transit fare in a way to maximise the throughput capacity so that the revenue generated by one seat relies on it being occupied by more than one passenger during the run from one terminus to another. If the fare is too high, ridership will be low as passengers will use the alternative modes. If transit fare is too low, as is the case with a Rs20 fare, the ridership will still be lower than the optimum ridership because the seats are likely to be occupied by passengers who travel the greatest possible distance. This implies that the BRT on Ferozepur Road will have the buses fully occupied by passengers boarding at Shahdara and heading to the other terminus at Gajjumata. A preferred option for structuring transit fares is to avoid blanket subsidies that subsidise all passengers. Instead, only low-income passengers be subsidised to prevent leakages in the subsidy regime. This can be achieved by integrating smart mobility cards with other government interventions, such as the Benazir Income Support Program cards. Furthermore, fixed fares must be replaced by zone-based fares to promote transit ridership. The answer to the above question is an unequivocal yes. The high-capacity transit systems on Ferozepur Road and Multan Road must be complemented with bus-based feeder networks. Thousands of additional buses plying in mixed mode traffic are needed to make transit a viable option against motorized two-wheelers and cars. It is not obvious from the conflicting statements whether the Orange Line is a gift from the people of China or a loan from the Chinese banks. A lack of transparency becomes a breeding ground for conspiracies and reduces trust in public institutions. Public transit should be built to improve mobility and trust in democratic governance. Your analysis does not take into account that Toronto supplies clean drinking water to 100% of population. Toronto District School Board (TDSB) provides a world class education which allows all of its students from ages 4 to 17 to compete for positions in universities all over the world, in addition the TDSB provides breakfast to deprived students, English language programs for newcomers, vocational training and special education for gifted children & mentally challenged students. Toronto also provides needs based subsidized housing to many who do not have access to quality affordable housing. Toronto also provides employment assistance to those seeking employment, Toronto provides an ambulance & fire brigade which responds to calls within 4 minutes. Toronto also provides world class libraries where the guests have access to all sorts of information & programs supporting independent learning. This has enabled Toronto to be a magnet for business & a world class city. when New York and chicago built elevated tracks, it might not be feasible for tunneling or due to soil and waterbed levels. Tunnelling machines now make this much easier instead of open and shut method used and have no impact on traffic and live above ground. A cultural city like Lahore has been ruined by hasty developments, ie green line in Lahore was an rail transit but converted to BRT. Orange line again was meant to have 12KM underground section not reduced only couple of KMs. Long term city planning has been sacrificed just for publicity on tax payers expense. Before the cities get their transit system, the railways' infrastructure should be improved nation wide. For example AT LEAST double tracks from Karachi to Peshawar and to Quetta, if not more. Better quality of trains for both safety and service. While I agree with the analysis in its limited scope, the more appropriate problem that a policymaker has is the opportunity cost of the money that can be invested in expensive public transport like high speed rail. At the same time, the policymaker also has to decide location- Karachi needs public services much more than Lahore, not just because of its much higher population but also because of the dilapidated condition of its current public services. Trains is immeasurably a better solution socially, economically and environmentally. Trains should be our future! @Usman from Toronto How many people in Lahore pay 14.5% GST? How many people in Lahore pay income tax to the tune of 40%? How many people in Lahore pay property taxes to the tune of 2% value of the property? How many businesses pay inventory taxes? How many people pay heavy Gas (Petrol) Taxes to the tune that a Petrol exporting country sells Petrol more expensive than the country it exports too (USA)? How many people in Lahore pay toll on roads? What is fare of these buses in Lahore ($.20)? What's the fare of the transport in Toronto? How many people in Lahore pay environmental fees? How many people in Lahore pay Agriculture taxes? I will keep on letting you know the taxes which people in Toronto pay but are not levied in Lahore. We don't want free loaders in Lahore. Pay for your school, college, medical and this is the most efficient way of government. Why Pakistan or Lahoris are poor and people in Toronto are rich-we will discuss in some other forum. Good analysis. However, both Lahore and Karachi need underground mass transit systems. Pakistan should start planning now, an indigenous homegrown system, it will provide 1000's jobs and save money against foreign purchase! I think it would have made better sense if author had comapared Lahore to similar cities in the region that has mass transit facilities, rather than those in Europe or North America where the social, economic and demographic realities are quite different from Pakistan. For instance Indian cities which face nearly the same of issues Lahore does such as Delhi, Mumbai, Kolkata, Chennai, Bangalore and Hyderabad all have high capacity suburban railway systems that connects the cities with its nearby regions, as well as Metro systems that transport people within the city. The Indian experience, both in its success and failings, would provide a valuable inputs to Pakistan in this regard. You are missing the point, when people are struggling to ensure food and health safety, when the vast majority of the city population is illiterate, I honestly don't see the point of such large scale urban development programs. The need of hour is to develop our people, as considering the population of our country, it is our best commodity to develop and compete in this world. Most people might just prefer clean water, good public schools, working hospitals, and cheaper medicine over a high speed rail. Vote them in again and request long-term planning and you will get your answer, they will definitely deliver. Dawn is the oldest newspaper of Pakistan 26 October,1941 but sorry Murtaza haider your analysis is nothing more than a heavy vocabulary you are comparing developed cities of developed countries with Lahore.How you can do this.Lahore even does not produce number of jobs compare to karachi how this city needs such expensive Orange line train.Although,for advancement of infrastructure is good but on what cost and on what basis.Is clean water and health facilities available in lahore or whole punjab to common man,answer is big No.Those countries first overcome health,enviornment and clean water issues then they proceed to Infrastructure. Underground rail network is better. Karachi should have been the first city to receive such a system. so true. Failed politicians like Zardari and IK fuss about projects which help common men. So why is CHina only gifting to Lahore and not Karachi? Public transport is an ignored area, such projects throughout the country must be encouraged. Neither this Orange Line nor the Metro Bus has helped people residing in the Gulberg area. There used to be a bus that used to pass from M.M. Alam Road and that route was discontinued, even though it was used by a lot of people. Hence, the Metro Bus Route of M.M. Alam should be reconsidered and reopened for the normal public who has to rely on public transport. @Sharif Chaudhry Usman's point is that Toronto when compared to Lahore had the basic social and taxation infrastructure in place before they decided to invest in mass transport system. They had their most important and basic needs addressed e.g. schools, hospitals, roads, water and sewage etc. Only then did they focus on an extended transport system. There is nothing wrong with developing a system.like orange line but your priorities need to be clear. In UK which is one of the top world economies, they are still debating if they need a high speed line and if they could justify the cost over other public spendings. In case of orange line, there is no transparency to tell a tax payer how these decisions were made, what's the source of investment and how is it going to be paid for both in terms of development and running costs. Also, while planning the infrastructure and road networks, special lanes should be kept for ambulances and VIP entourage that results in traffic jams and results in untimely deaths of the unfortunate people in the ambulances. Please get your priorities in order first.Education, education, education is the most important thing needed to build a strong society. Karachi and Rawalpindi/Islamabad also need high speed transit systems or people will remain stuck in never ending traffic jams. Despite Metro Train, there was also need to utilize already available Railway Track network in Lahore. Pakistan Railway lines in Lahore are more than 30 kilometers. From Shahdara an entry point of Lahore to Raiwind another local mass transit plan is feasible on very low cost even keeping the national railway time table in working position. Please do also cinsider this. @Tunda Thakur I respect your opinion. Ideally you are right. If it was me, I would spend money to improve justice, law and order, and governance. Governments are absolutely inefficient in providing education, healthcare, and other public sector services. And in a country like Pakistan, I am not willing to entrust government for anything. It would be great if they can provide us justice, law and order, and good governance. Let private sector fight for business in healthcare, education etc. We have seen what government did with PIA, Railway, Steel Mill and other projects. Canada and Britain are inefficient even with so much vast experience of good governance. A good example would be, Canada produces Oil and sell it to USA yet the oil is far cheaper in USA. Canadians of border cities come to USA to fill up so that they can save money. Even with vast natural resources they still have to tax massively. Does it need rail transit more than other cities (Karachi) or more than other basic facilities not available to most Pakistanis? The answer is an unequivocal no. @Usman from Toronto What I have analyzed is that the governments are extremely inefficient and shouldn't be allowed to interfere in public life. There job should only be to provide justice, law and order and good governance. It's job of private sector to provide education etc. Since Pakistan is very poor country and private sector cannot provide infrastructure, we can accept projects like Orange Train. If government provide good governance and laws, and statues are there to protect its citizens, private sector can deliver the above at the best cost. Murtaza Sab, you are one of my favourite writer who writes with super researched data and evidences. However, while disagreeig with you comparisons, first research point should be is there any city in the world that has such poor conditions of education, health, drinking water, environment, law and order index and still went to construct similar transportation system. Murtaza Sab, pls provide this information out of your available data base of transportation library. Railway is always better, if you can offer cheap and sufficient power and all the technology is available to the host country. but then if china offers it free, you should opt for it. Wrong priorities; wrong allocations of funds: Karachi needs Metro more than Lahore! Great articile and yes cities likes Lahore, Karachi, Faisalabad etc (all high population) need all sorts of transit systems. There are as much required as schools, hospitals and colleges. @Tariq, Lahore Mian Nawaz Sharif has twice sabotaged Karachi mass transit project. First time in his first Government and second time in his second Government. Second time, it was an international embarrassment and financial loss to GOP. Karachi mass transit was ready with financing and technical layout and alignments. It was on BOT basis to be funded by Canadians giant in this field (SNC Lavalin) The Canadian Prime minister at that time, Chretien visited Pakistan and a joint groundbreaking ceremony was held with BB at Karachi. Then came Nawaz Sharif and brakes were applied. The Canadian Government demanded compensation and asked lenders/donors to intervene. GOP had to pay the compensation in order to avoid embarrassment and not to halt FDI and other loans. Now 20 years, later we will re-invent the wheel. you did not take into consideration the climatic conditions in your assumptions. I for one would take a public transport over personal car knowing that it is fast, less hectic and provide opportunity to do work or read on the way but the urban design of Lahore is not compatible with the common metro systems found around the world, specially if you take consideration of extreme weather conditions here. you cannot walk 2 kilometers in scorching heat to the bus station or a bus connection for metro lines. you cannot bring in tramways into highly expanded horizontal developments. what we need in Lahore is not only transport overhaul but changing the whole map of Lahore and erect a parallel highly modern vertical city where people should be forced to move and then overhaul the older part of the city step by step and integrate it with the newer one. my 2 cents being a resident of Lahore. @Jfaser wow never knew about this fact...that where South Asian economies fail...detract from good work... but one should look forward and learn from mistakes and this should be more of every Pakistani during 2018 election choose your vote wisely don't refrain urself from voting. @Usman from Toronto Right on the money! @AMER SHEIKH plus the trains compartments should have been built in the Mughalpura railway workshop under a technology transfer program, but that would have affected some big deep pockets! @Farhan We are working on improving our cities because we live here. We have to start somewhere. We cannot live in Toronto. If you can, it's your choice. But please let us do what we think is right for us. This project has been financed by taking on massive amounts of debt. The debt will be paid off for years to come while the maintenance costs of this project continue to rise as the infrastructure ages. Coupled with operational costs, it will never be financially viable and will likely end up as another white elephant around the government's neck with people siphoning off money as they do with railways etc. Sad to say but this money could have been better utilized on improving health and education in Punjab.